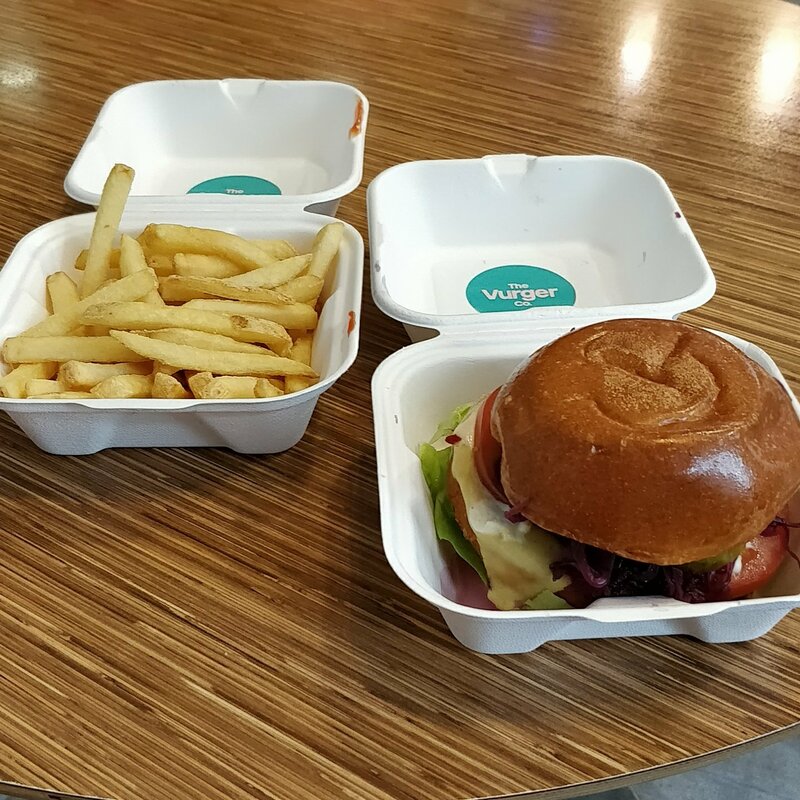 When my friend Mitsu told me The Vurger Co were holding a pop up at Lululemon in Spitalfields market I knew I had to get down there one lunchtime. As yesterday was my last day in the office this week I thought I would treat myself and go down there. I went for the aubergine burger called the Auberger with fries and a banana caramel milkshake. I drank the shake as I walked back to the office so I didn’t take a photo. It was thick, creamy and delicious. The burger was huge and little difficult to eat, I should have cut it in half really. I really enjoyed all the fixings, the cheese, the cabbage, the mayo. The actual burger was not what I was expecting I couldn’t really pick out the aubergine and it also had a kick I wasn’t expecting. They are going to be doing a Christmas burger from 1st December so I’ll have to get down there again before they wrap up on 22nd December. Have you tried out The Vurger Co? What did you think? Let me know in the comments below.